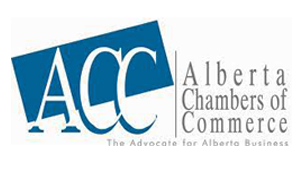 For 35 years, Ron Chapman supported effective organizational governance and the development of policy resolutions by chairing the annual Policy Sessions of several chamber organizations including the Alberta Chambers of Commerce and the Canadian Chamber of Commerce. The Ron Chapman Excellence in Governance Scholarship is awarded to individuals who are members of community chambers of commerce and are seeking to advance their skills and qualifications in parliamentary procedure. Applicants must outline in detail what eligible expenses they will incur in the coming year which contribute to their development, education, and certification in parliamentary procedure (example eligible expenses are listed below). The Scholarship will provide up to 3 awards of 100% of eligible costs to a maximum of $325 per person per year. Applicants will be judged based on the nature of the costs incurred, their level of involvement in their community chamber of commerce, and whether they have been awarded the scholarship in the past. Applicants should outline the costs for which they are applying the scholarship. Eligible costs include tuition for courses on relevant topics, National Association of Parliamentarians Membership Fees, or other courses.